Wow! 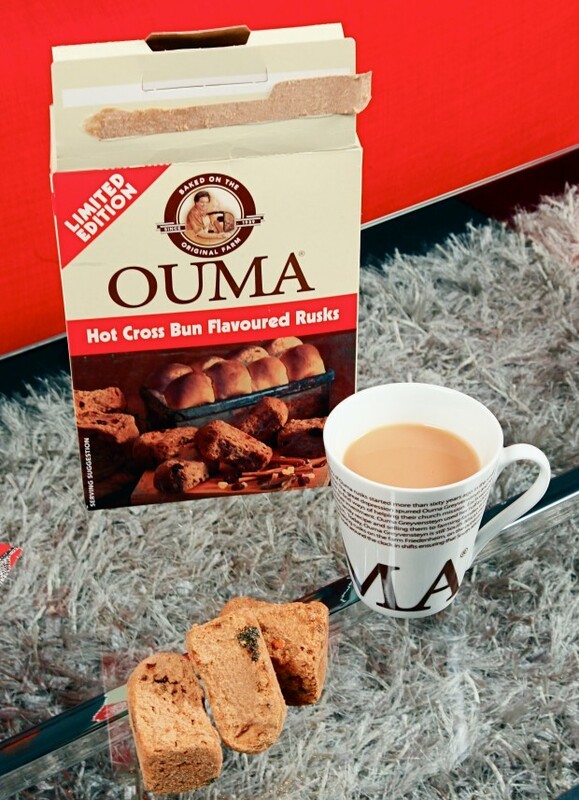 The well known Ouma Rusk brand has just released a limited edition of Hot Cross Bun flavoured rusks. This means that when you sit back with your cup of tea or coffee, instead of dunking the traditional buttermilk or muesli rusks, you can now enjoy this Easter time treat, just dunk a Hot Cross Bun flavoured rusk, these cinnamon and raisin flavoured rusks are ideal as a delicious on-the-go breakfast or as a tasty teatime snack any time of the day. Ouma rusks have been baked on the original Friedenheim Farm, on the outskirts of Molteno in the North Eastern Cape, since 1939 and their popularity never seems to diminish. No matter which office you work in, someone is sure to have some Ouma rusks at hand. Their recipe hasn’t changed since the days of Ouma Greyvensteyn, who, struggling to make ends meet (at the height of the Great Depression), first began baking her secret recipe 73 years ago for local folk. Oom Thys and Ouma Greystensteyn first established the country’s only “rusk factory”. Today, no less than 100 full time staff work around the clock in shifts, ensuring that South Africans will always be able to… “Dip ‘n Ouma”. The Ouma brand is owned by South Africa’s third largest food producer, Foodcorp (Pty) Limited and the rusks retail in 500g and 1kg packs in the following flavours: Buttermilk, Condensed Milk, Muesli, Muesli Lite Sliced, Wholewheat Sliced, Plain Sliced, Buttermilk Sliced, Sliced Marmalade and now a limited issue of Hot Cross Bun Flavoured Rusks. The new Hot Cross Bun Flavoured Rusks are available nationally at leading retail stores and the 500g packs sell at a recommended retail price of between R23,99 and R25,99. The smell when you open the packet is too amazing for words, you need to rush out and grab a box, you will be very sorry if you don’t, they are sooo scrumptious. Hmm Mmmm! p.s. To all our South African ex-pats, hope that these will be available internationally too so you can join us in tasting these fantastic rusks. 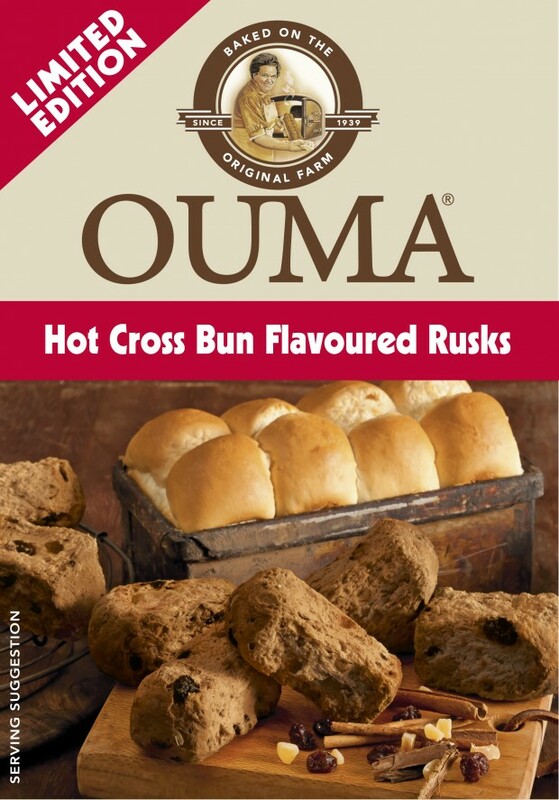 6 Comments on "Ouma Hot Cross Bun Flavoured Rusks"
Thank you for the Hot Cross Bun rusks – LONG may they be on the shelves. TOOO DELICIOUS ro be taken off. I hope they are NOT a limited Addition. Why must a good thing be a ‘limited’ addition? Perhaps they are limited to Easter time? Hope that they will become so popular that they won’t need to be limited. 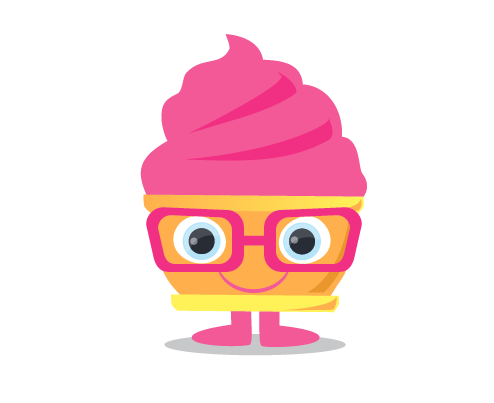 We really love these, please keep baking them !!! PLEASE keep making these “Hot Cross Bun” rusks!!! My husband just loves them and he will be so distraught if you stop them! !